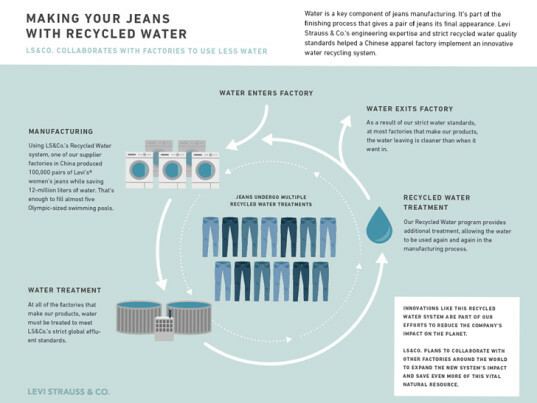 Levi Strauss has developed a new way to make jeans using 100 percent recycled water. The denim manufacturer, which applied the first-of-its-kind process to 100,000 pairs of women’s jeans during a test run, says it saved some 12 million liters of agua, or enough to fill nearly five Olympic-size swimming pools. 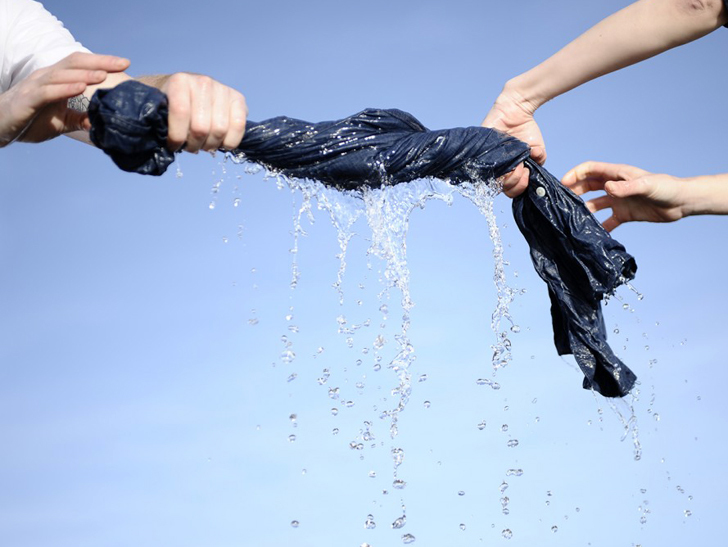 The technique, according to Levi’s, is the result of a new, third-party-verified water-recycling standard designed to ease the stress of garment production on freshwater supplies. Levi Strauss has developed a new way to make jeans using 100 percent recycled water. The denim manufacturer, which applied the first-of-its-kind process to 100,000 pairs of women's jeans during a test run, says it saved some 12 million liters of agua, or enough to fill nearly five Olympic-size swimming pools. The technique, according to Levi's, is the result of a new, third-party-verified water-recycling standard designed to ease the stress of garment production on freshwater supplies.